After an unexpected break, Crit My Pic has returned! 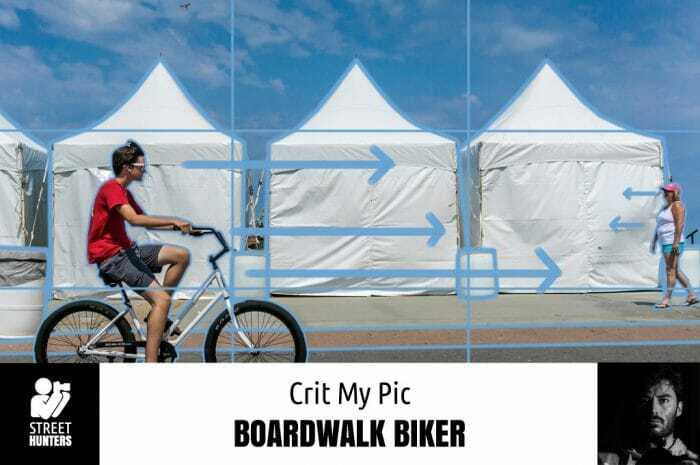 The street photo we are going to be analysing this week has been submitted by Michael Schmitt and it is titled ‘Boardwalk Biker’. If you need reminding of the criteria we use to analyse each photo, they are point of view, focal point, composition, exposure, subject matter, and mood. As we have a large collection of photos to analyse, for the time being at least we won’t ask you to send us in any more photos for Crit My Pic. Now it’s time to get into the analysis of the ‘Boardwalk Biker’ by Michael Schmitt. The street photo submitted for Crit My Pic consideration this week is called ‘Man with the Hat’, and it has been shot by Andrew E. Brown. I’m going to review the photo by the usual Crit My Pic protocols, which are point of view, focal point, composition, exposure, subject matter, and mood. 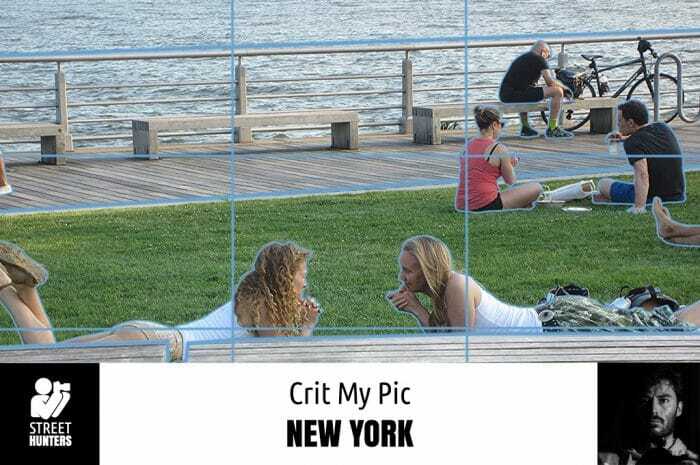 There are lots of street photographs still pending for Crit My Pic, but if you’d like to make your own submission, you can read the rules at the bottom of page and then email us your photo. 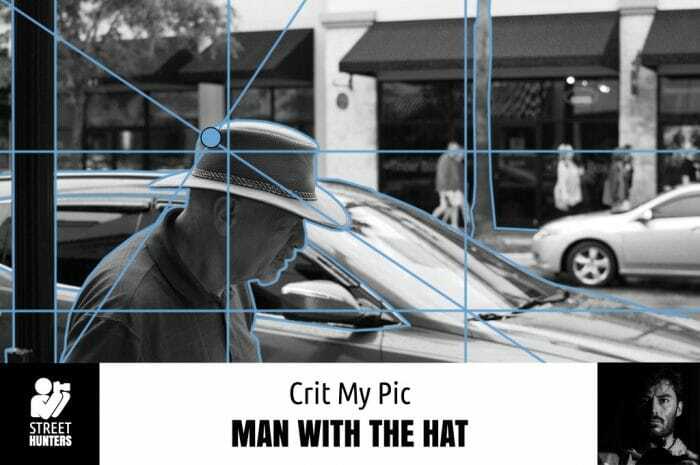 Here is the Crit My Pic analysis of ‘Man with the Hat’. 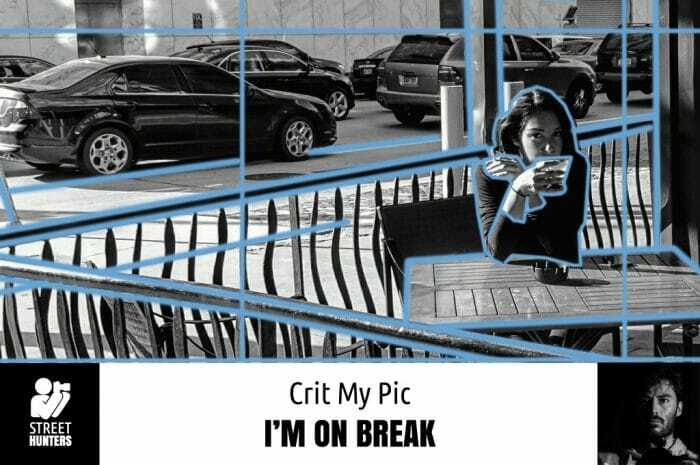 The street photo to be analysed for Crit My Pic this week is called ‘I’m on Break’ and it has been shot and submitted by Roman Lopez Jr. 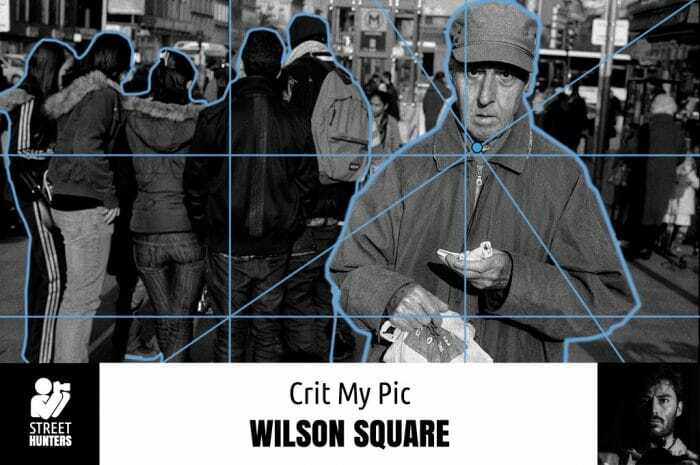 The format for Crit My Pic is now well established, but if you’re new to the feature, I analyse each street photo in terms of point of view, focal point, composition, exposure, subject matter, and mood. I will also make any suggestions I can for improvements. We’ve got a nice lot of submissions currently for Crit My Pic, but if you’d like one of your own street photographs considered for this feature, you can read the submission rules at the bottom of the page and email us your photo to be analysed. ‘New York’ is the title of the street photograph to be analysed for Crit My Pic this week, and it is a photo that has been shot by Norah Fernandez Yegros. As usual, I’ll examine the photo by the usual criteria: point of view, focal point, composition, exposure, subject matter, and mood. I’ll make any suggestions I can think of for ways in which I think the photo can be improved if possible. 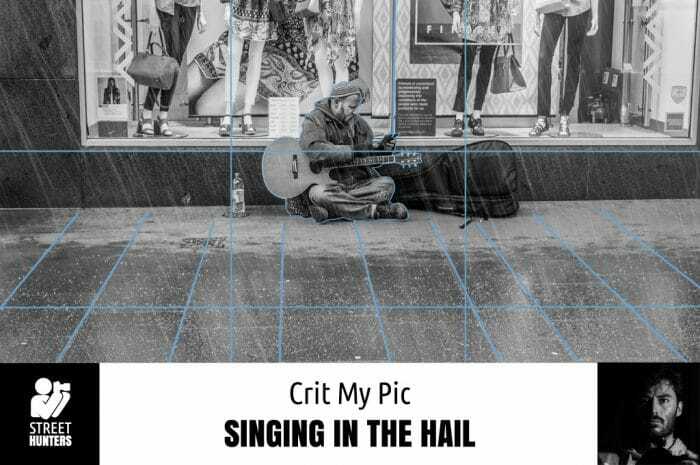 If you have a street photograph of your own that you’d like to be considered for feature in Crit My Pic, read the submission rules at the bottom of the page and email us your photo! For Crit My Pic this week we’re going to be analysing a street photograph called ‘Look’ which was submitted by Alexey Kuzmis. The photo analysis criteria are the same as always, but if you’re new to this feature, or need reminding, they are: point of view, focal point, composition, exposure, subject matter, and mood. I’ll be making suggestions along the way for any potential improvements to the photo. 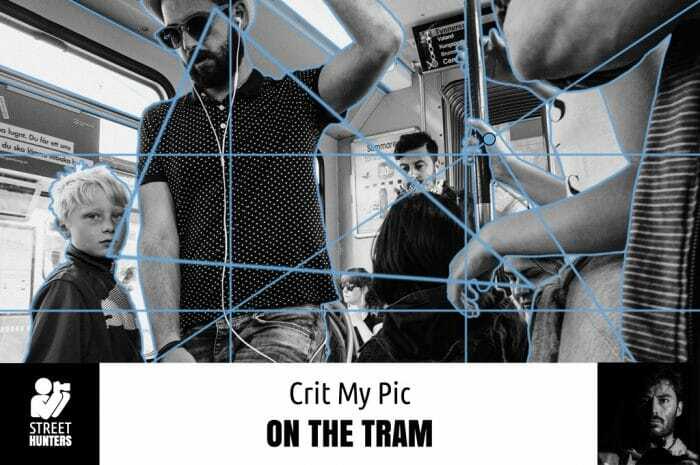 For the chance to have a street photograph you’ve shot featured in Crit My Pic, read our submissions rules at the bottom of this page and then send us an email with your photo. And now, on to the analysis of ‘Look’. 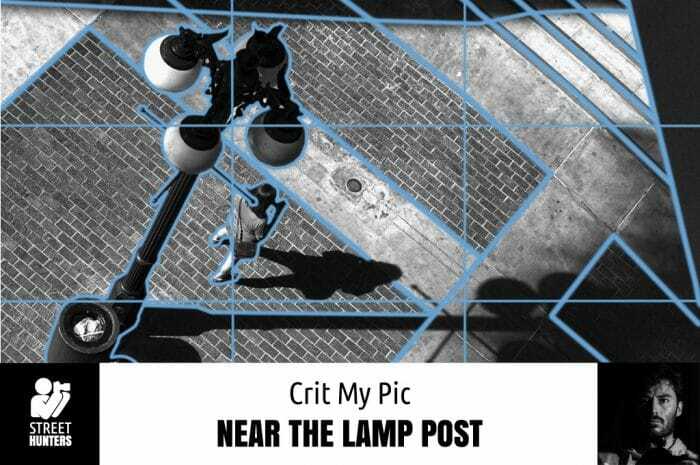 It’s time for another Crit My Pic feature, and this week we’re going to be looking at a street photo submitted by Stuart Liddle, titled ‘Near the Lamp Post’. Stuart is one of the longest lasting readers of Streethunters.net, and was actually the first person to have his camera bag featured in ‘What’s in your Camera Bag?’ way back in 2014! He also took part in the first official Streethunters.net Reader’s Exhibition in Athens. Thanks for sticking with us for all this time Stuart, I hope you find this crit useful! Those familiar with Crit My Pic will know the formula by now, but for those new to the game, I will be analysing Stuart’s photo in terms of point of view, focal point, composition, exposure, subject matter, and mood. I’ll make suggestions where I can for ways in which I think the photo can be improved. To have your own street photograph analysed for Crit My Pic in the future, read through the submission rules at the bottom of page and then drop us an email. Without further ado, let’s begin the analysis of ‘Near the Lamp Post’! Our Crit My Pic this week is ‘On The Tram, Gothenburg, Sweden 2015’, and it is a street photo shot by Linus Andersson. I will be analysing and making comments about how I think it performs in the criteria of point of view, focal point, composition, exposure, subject matter and mood. Where I can, I’m going to be making suggestions in these criteria for ways in which I think the photo can be improved. 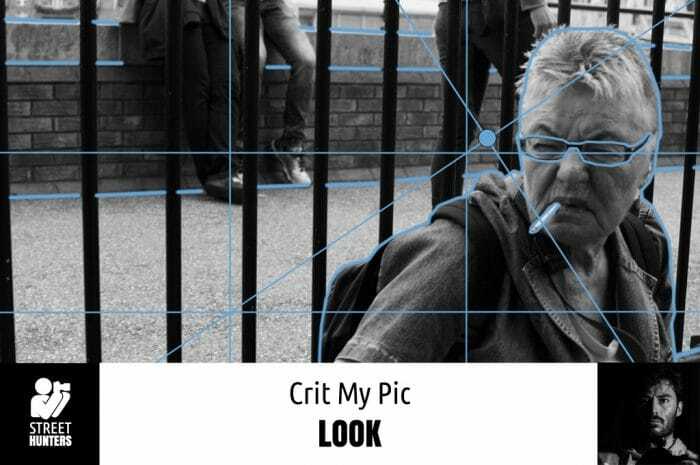 To have your own photo analysed for Crit My Pic you need to read the submission rules at the bottom of the page and then email your photo to us.